Project Learn reinforces and enhances the skills and knowledge young people learn at school during the hours they spend at the Club. This comprehensive program strategy is based on research showing that students do much better in school when they spend their non-school hours engaged in fun, but academically beneficial, activities. In 1996, Boys & Girls Clubs of America developed a comprehensive academic enhancement strategy in partnership with education researcher Dr. Reginald Clark called Project Learn. This comprehensive strategy underwent a rigorous evidence-based evaluation that demonstrated its effectiveness in creating positive outcomes for youth in school behavior and performance. Through Project Learn, Club staff use all the areas and programs in the Club to create opportunities for these high yield learning activities, which include leisure reading, writing activities, storytelling, traditional language, discussions with knowledgeable adults and or elders, helping others, homework help, tutoring and games like Scrabble that develop young people’s cognitive skills. Project Learn is not a curriculum or a stand-alone program. It is a comprehensive strategy that can incorporate every area of the Club. It is a way to approach everything at the Club in a unique and fun way that results in learning. Every activity at the Club can be a learning experience! Project Learn also emphasizes parent involvement and collaboration between Club and school professionals as critical factors in creating the best after-school learning environment for Club members ages 6-18. 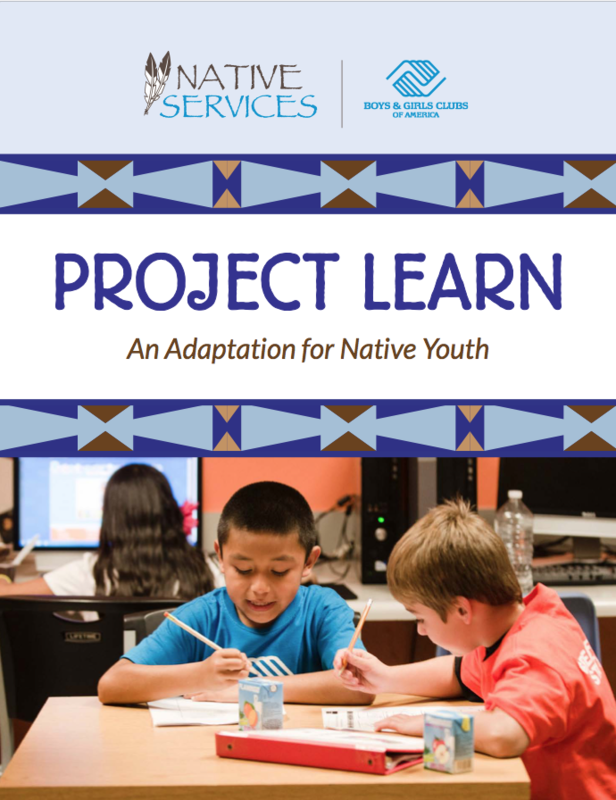 BGCA’s Native Services Unit has reviewed the Project Learn curriculum to provide Native Clubs with an adaptation of the curriculum that is more reflective of Native culture.